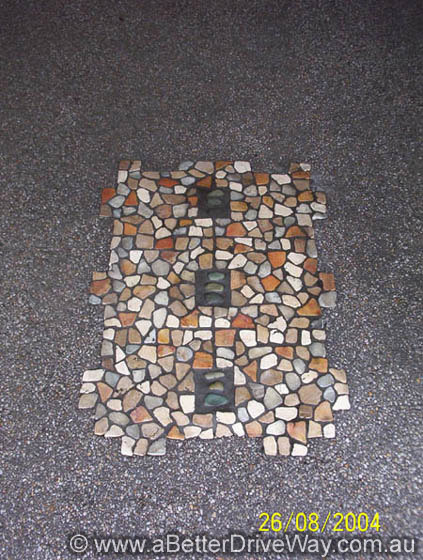 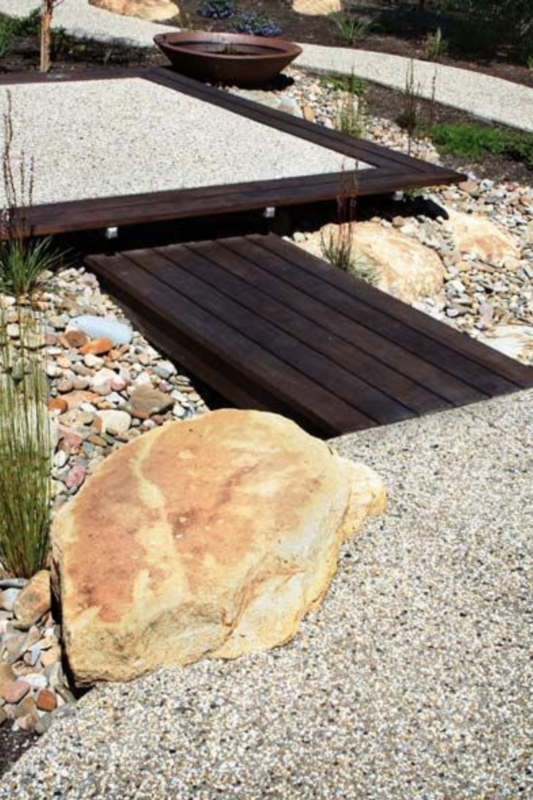 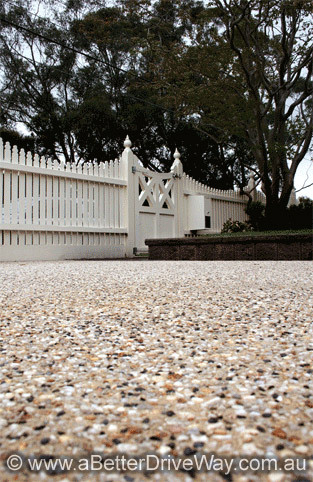 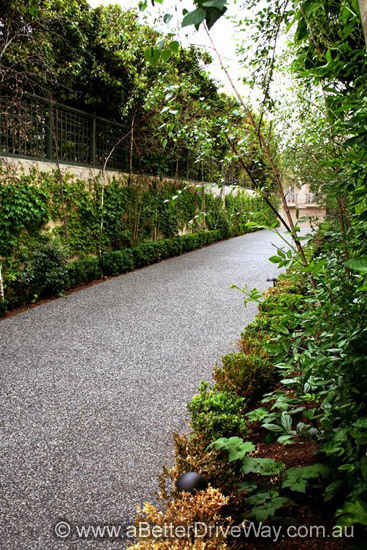 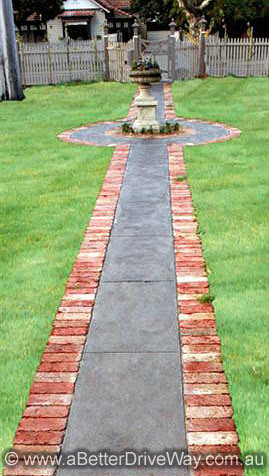 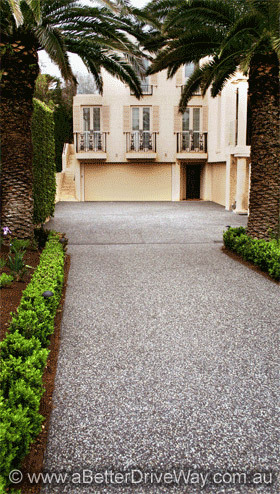 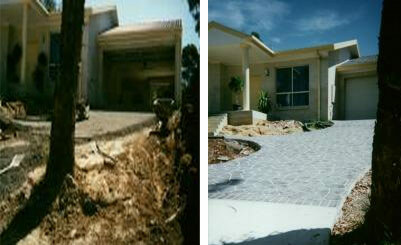 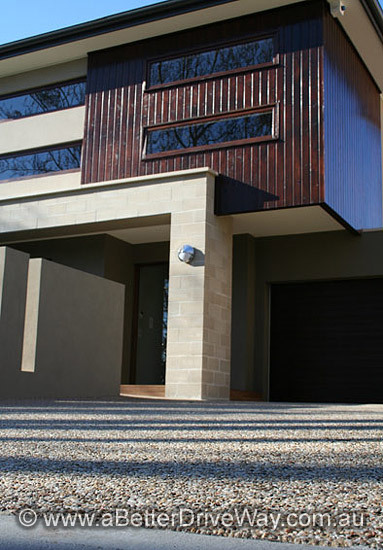 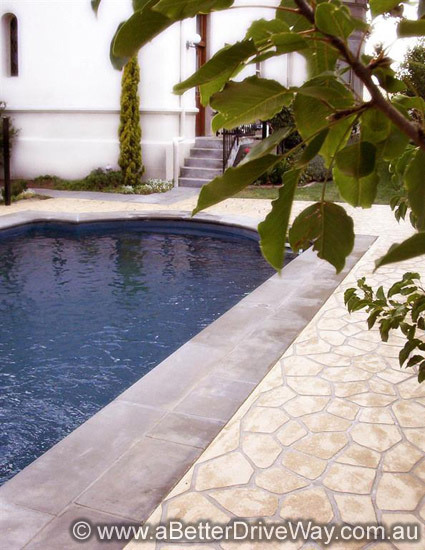 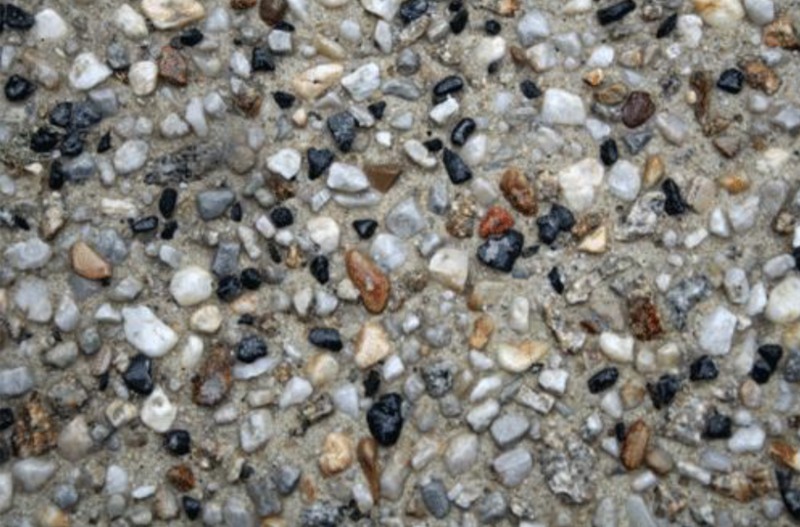 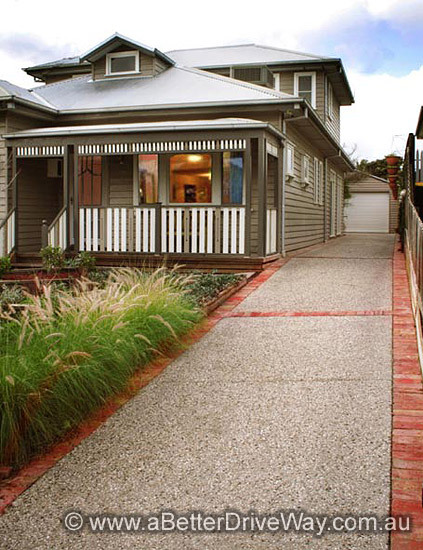 View our project gallery of coloured concrete, texture concrete and exposed aggregate driveways. 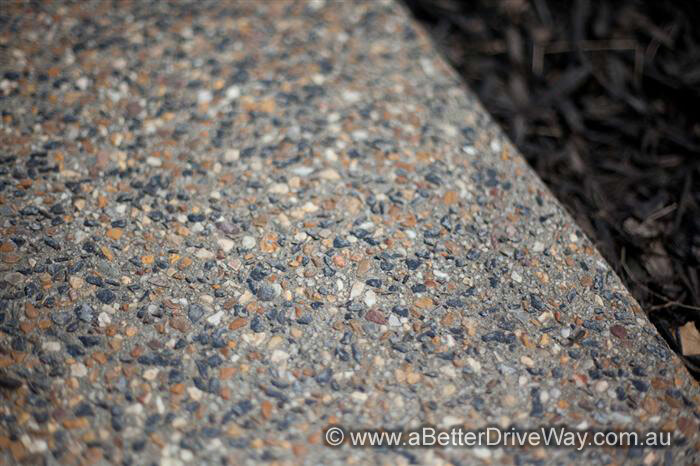 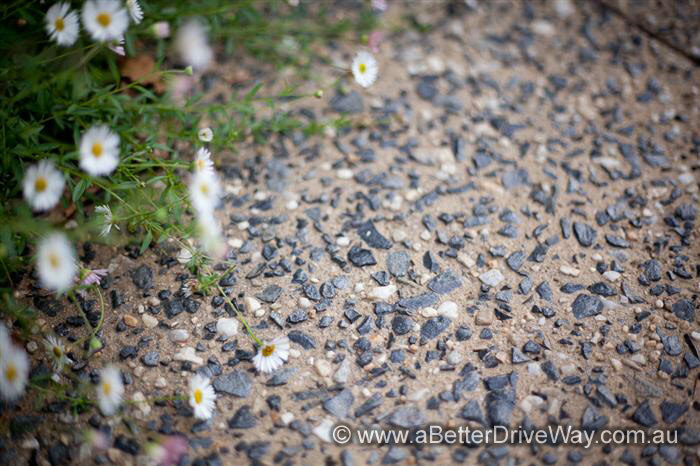 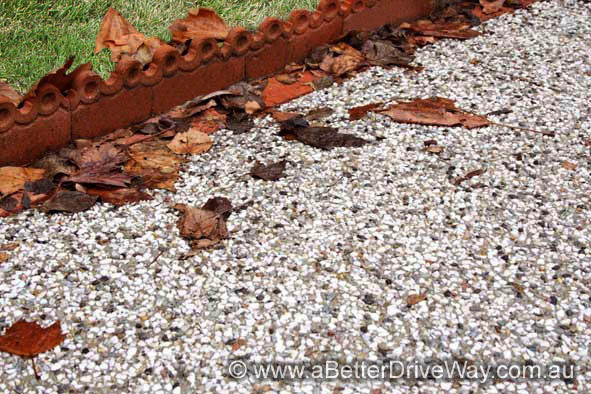 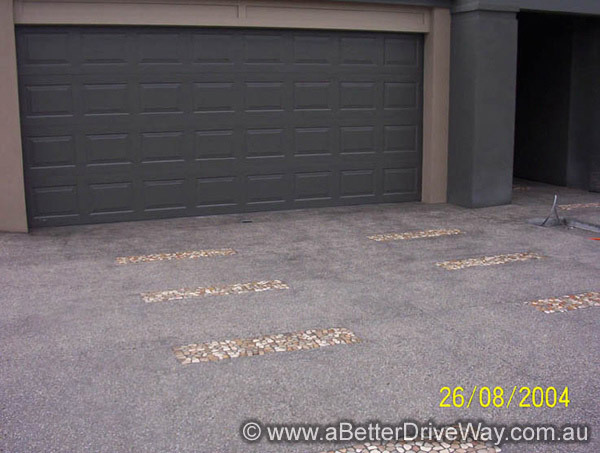 https://www.abetterdriveway.com.au/wp-content/uploads/2015/12/exposed-agg-1.jpg https://www.abetterdriveway.com.au/wp-content/uploads/cache/2015/12/exposed-agg-1/2718956905.jpgThis stunning driveway in Brighton shows all of what exposed aggregate can be. 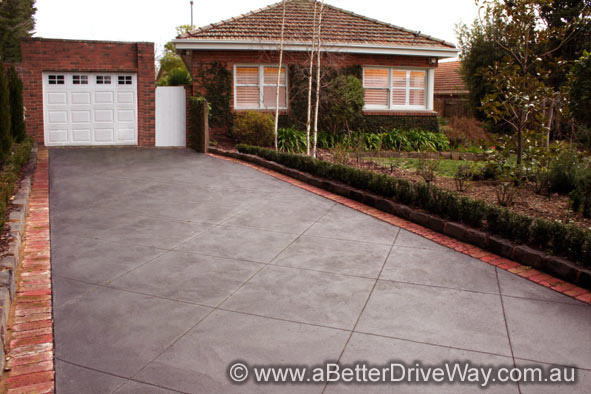 https://www.abetterdriveway.com.au/wp-content/uploads/2015/10/abetterdriveway-06.jpg https://www.abetterdriveway.com.au/wp-content/uploads/cache/2015/10/abetterdriveway-06/3057412899.jpgSaw cut tiles like this are a clever way to add the feel of tiles to your driveway or patio. 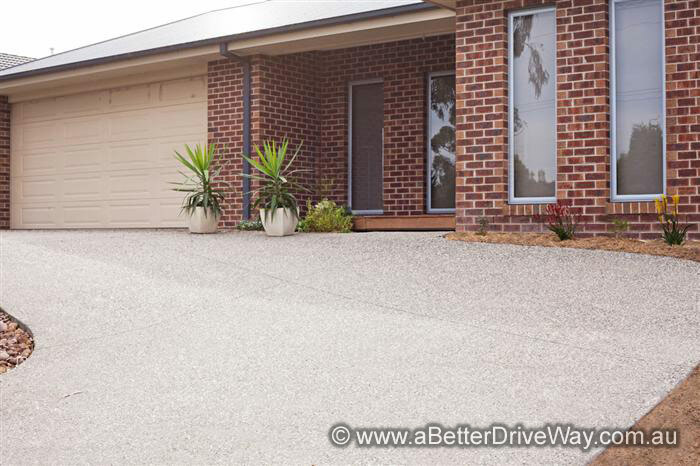 https://www.abetterdriveway.com.au/wp-content/uploads/2015/10/abetterdriveway-08.jpg https://www.abetterdriveway.com.au/wp-content/uploads/cache/2015/10/abetterdriveway-08/592704752.jpgStunning exposed aggregate nestled amongst beautiful landscape. 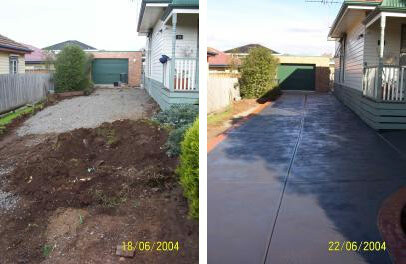 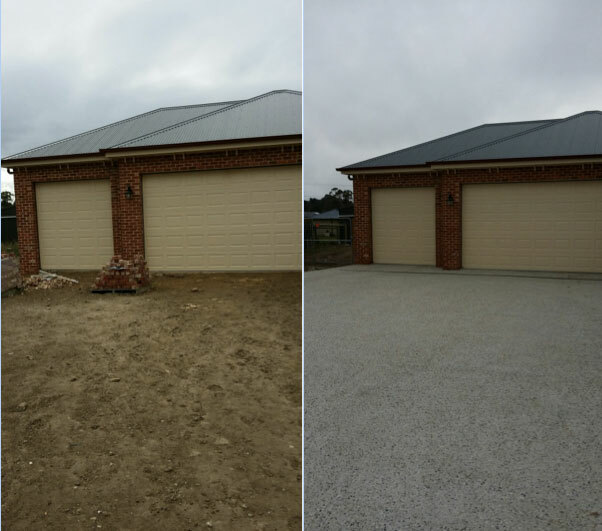 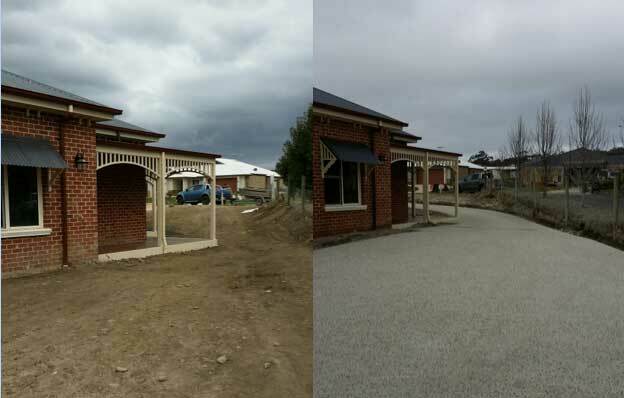 https://www.abetterdriveway.com.au/wp-content/uploads/2015/12/exposed-agg-2.png https://www.abetterdriveway.com.au/wp-content/uploads/cache/2015/12/exposed-agg-2/3455277952.pngAround rocks or against timber, exposed aggregate is unequalled. 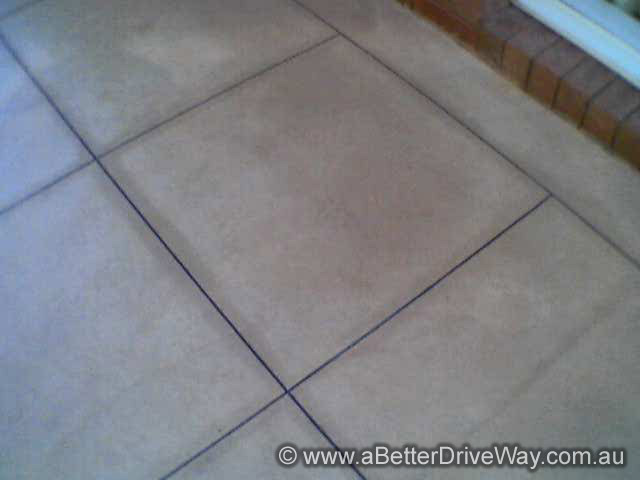 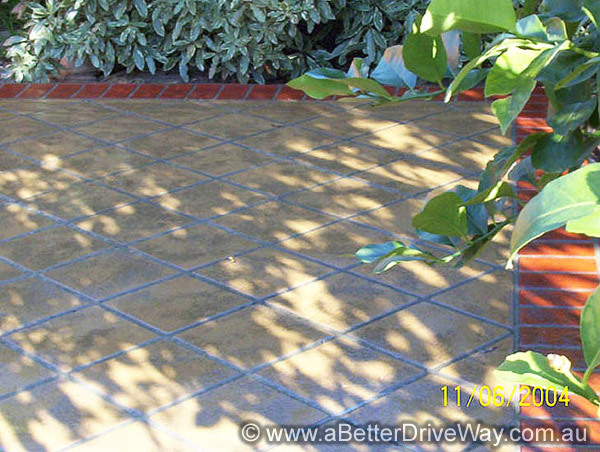 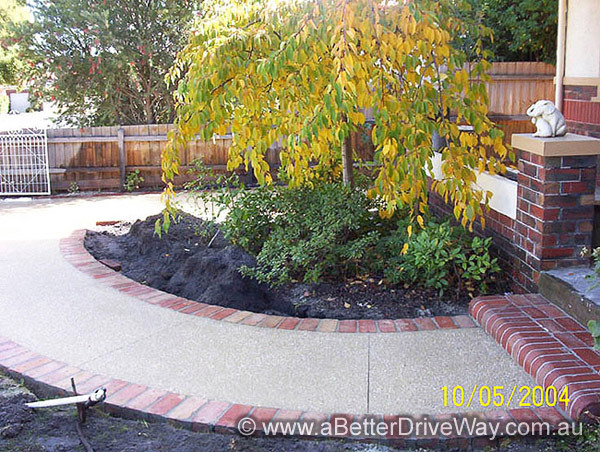 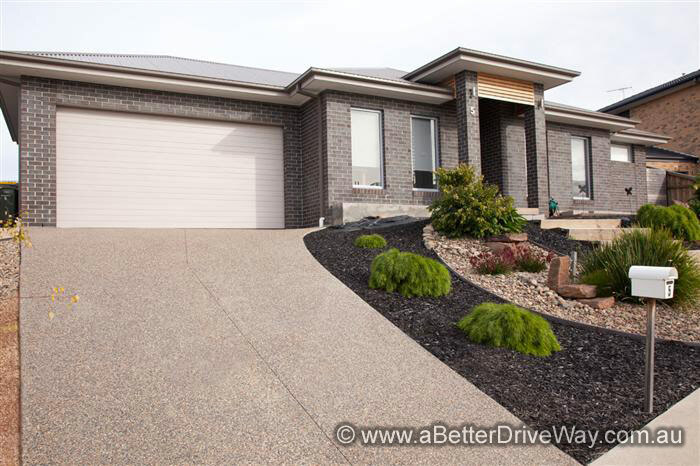 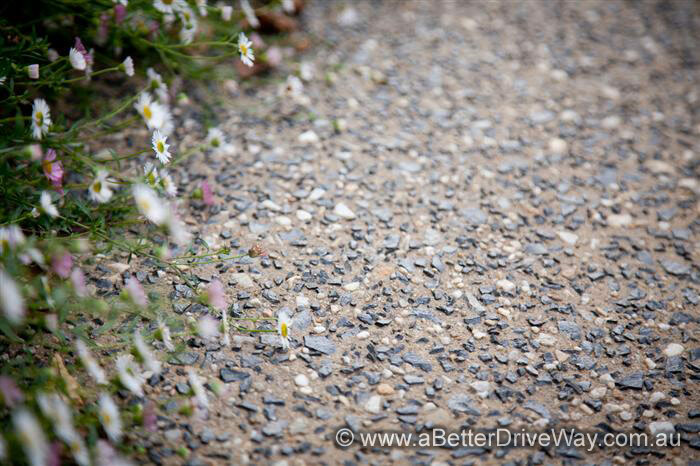 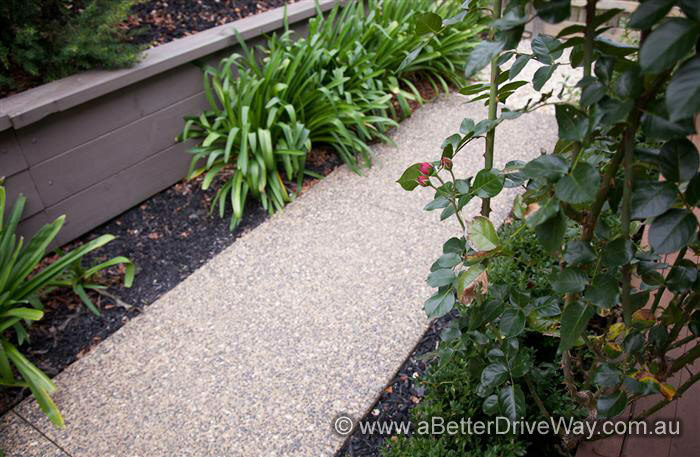 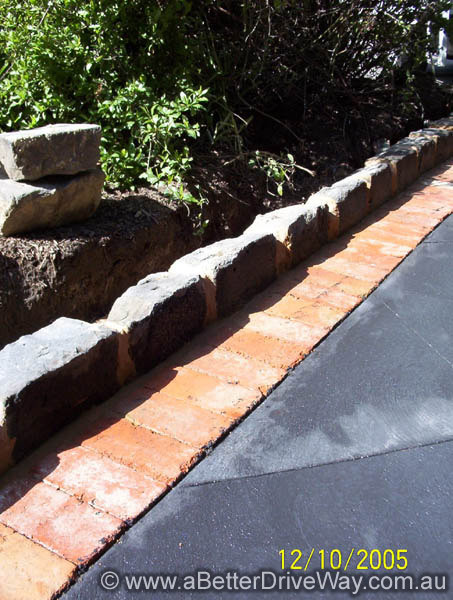 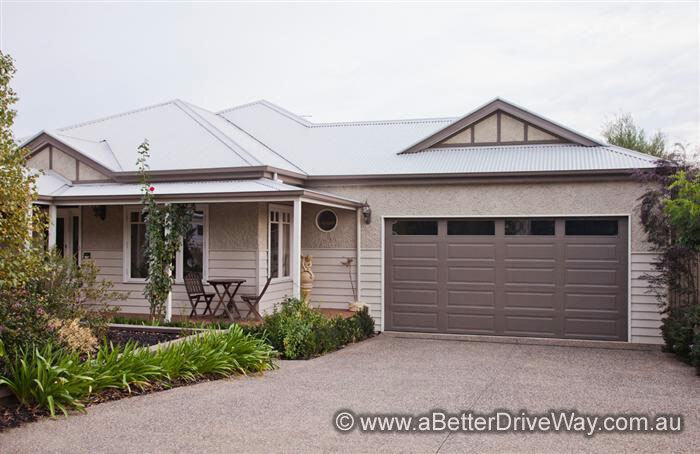 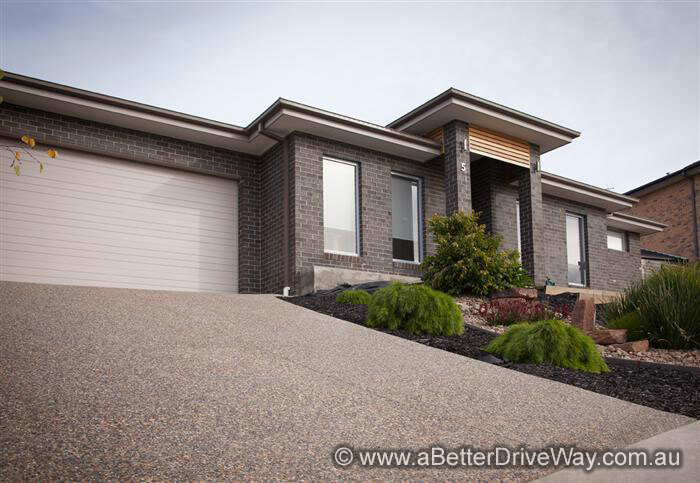 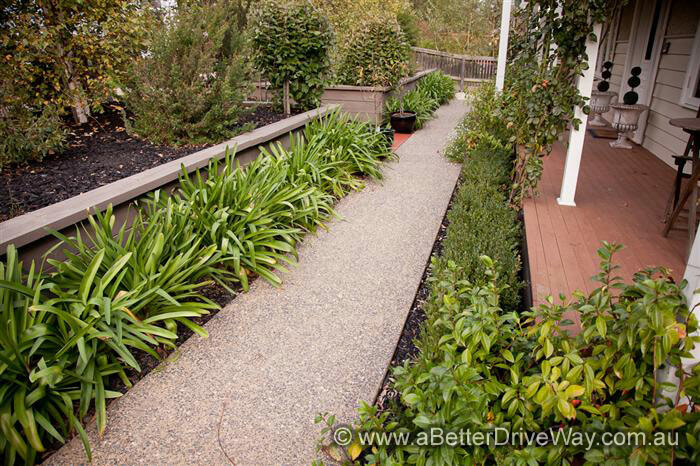 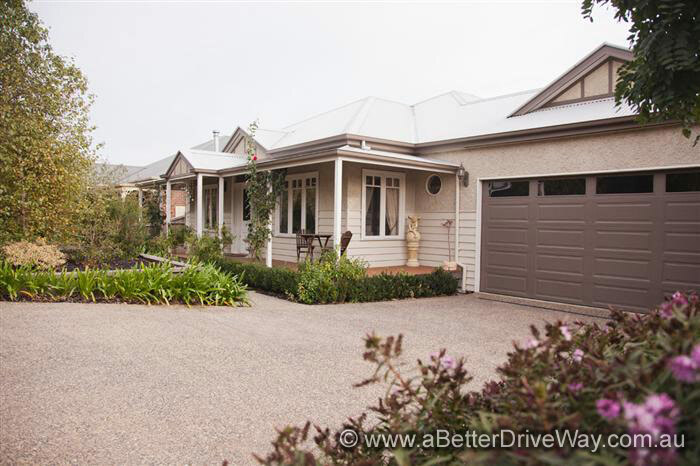 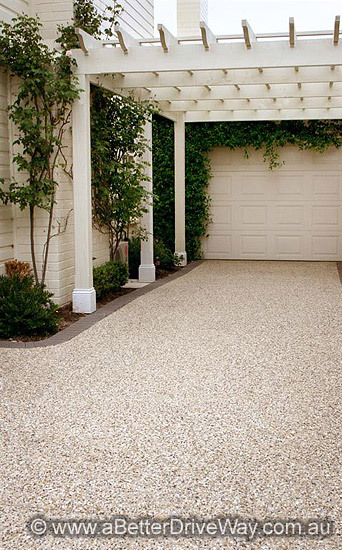 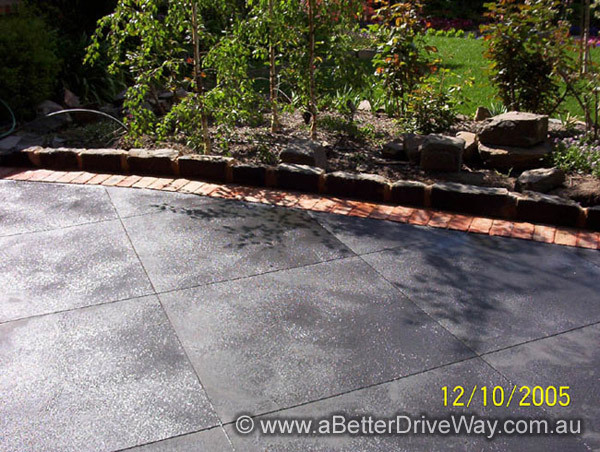 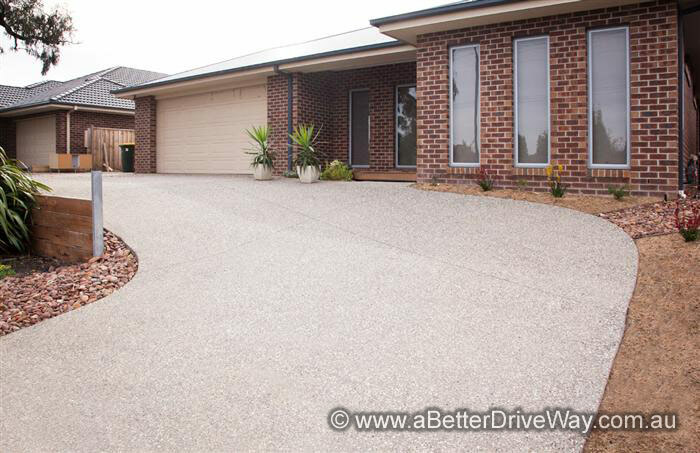 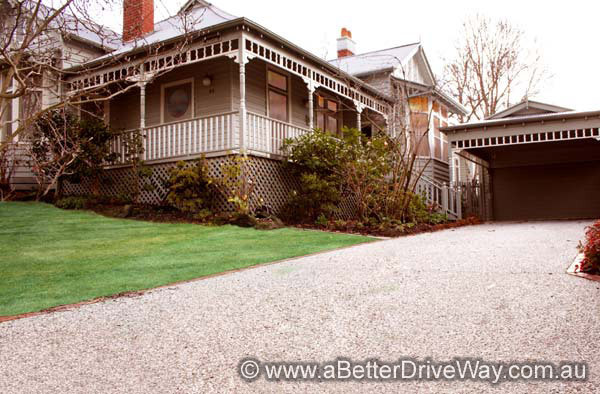 https://www.abetterdriveway.com.au/wp-content/uploads/2015/10/abetterdriveway-03.jpg https://www.abetterdriveway.com.au/wp-content/uploads/cache/2015/10/abetterdriveway-03/1372119469.jpgThis driveway says simply, 'welcome home'. 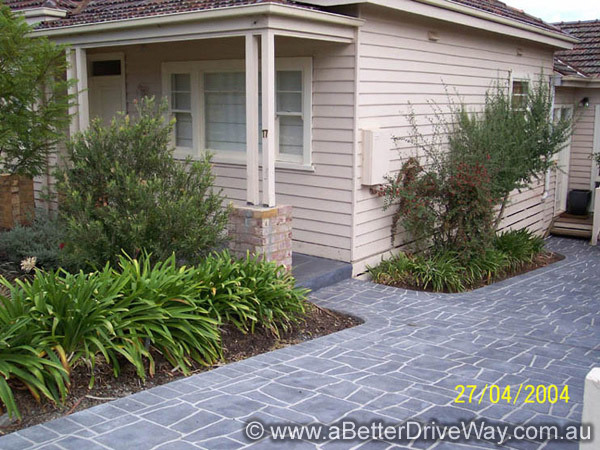 https://www.abetterdriveway.com.au/wp-content/uploads/2015/10/abetterdriveway-23.jpg https://www.abetterdriveway.com.au/wp-content/uploads/cache/2015/10/abetterdriveway-23/1121462175.jpgExposed aggregate can have warm overtones such as this. 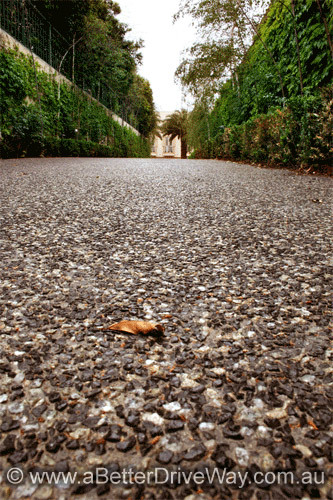 A wonderful winter time feel. 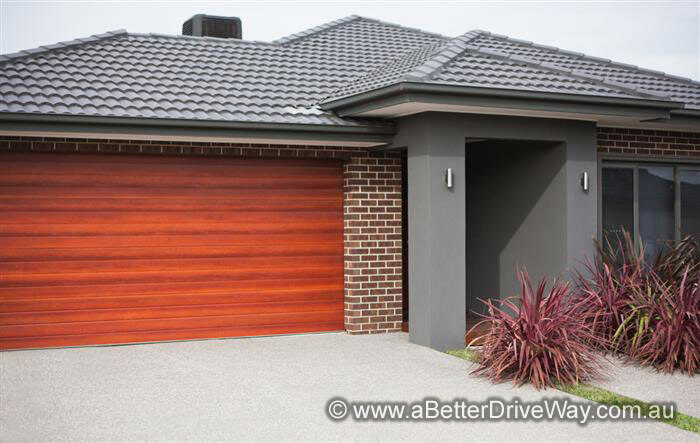 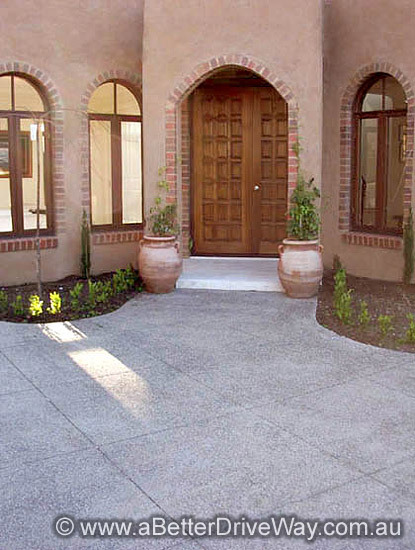 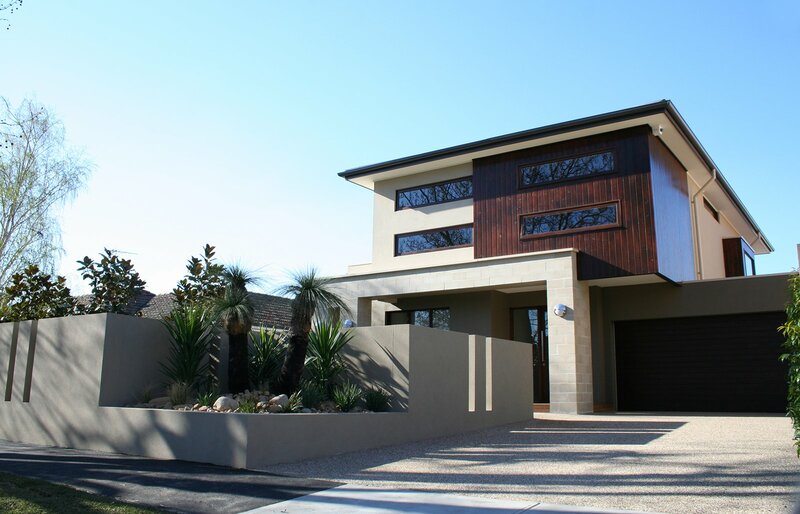 https://www.abetterdriveway.com.au/wp-content/uploads/2015/10/abetterdriveway-25.jpg https://www.abetterdriveway.com.au/wp-content/uploads/cache/2015/10/abetterdriveway-25/959801975.jpgABD Standard Exposed Aggregate (straight river pebble) in a natural grey tone background. 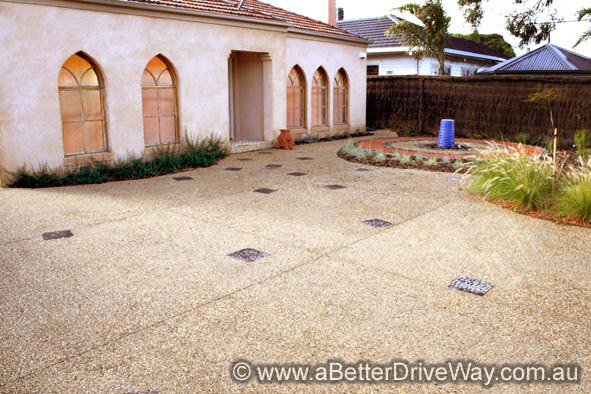 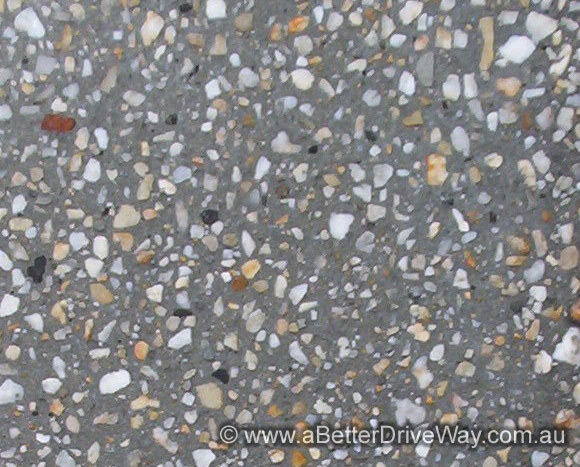 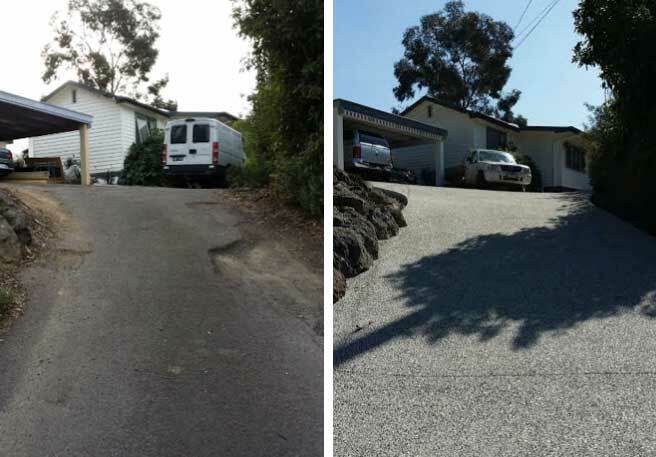 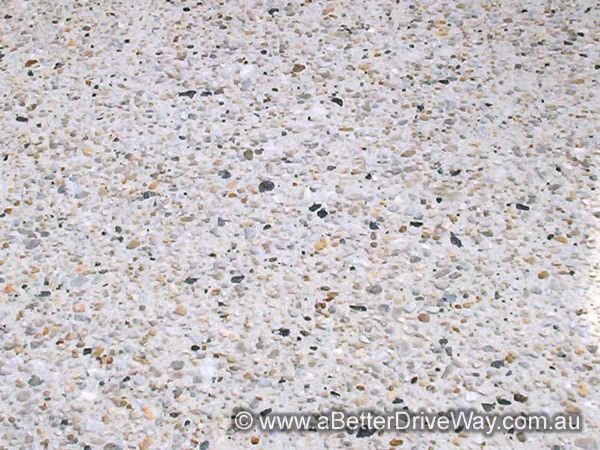 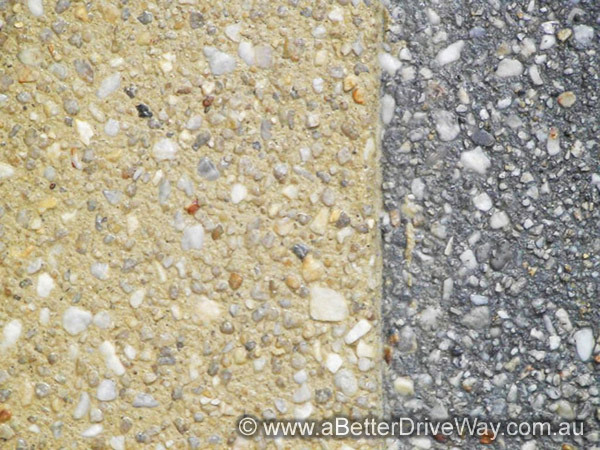 https://www.abetterdriveway.com.au/wp-content/uploads/2015/12/exposed-agg-3.png https://www.abetterdriveway.com.au/wp-content/uploads/cache/2015/12/exposed-agg-3/1930119741.pngA close up of what exposed aggregate looks like. 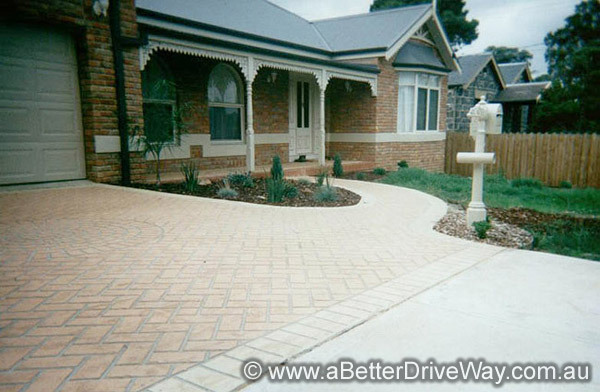 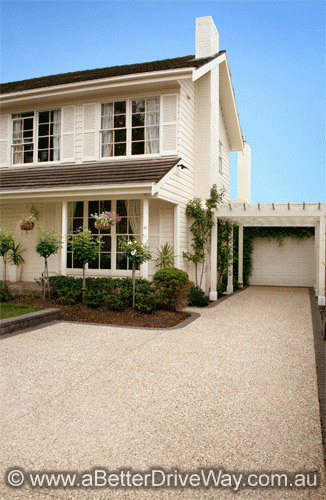 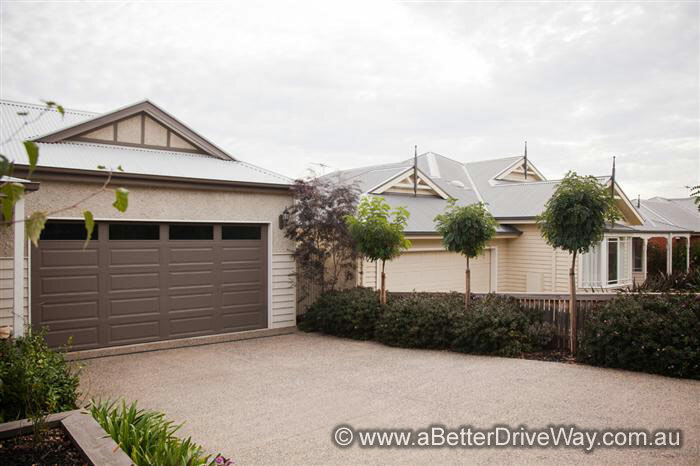 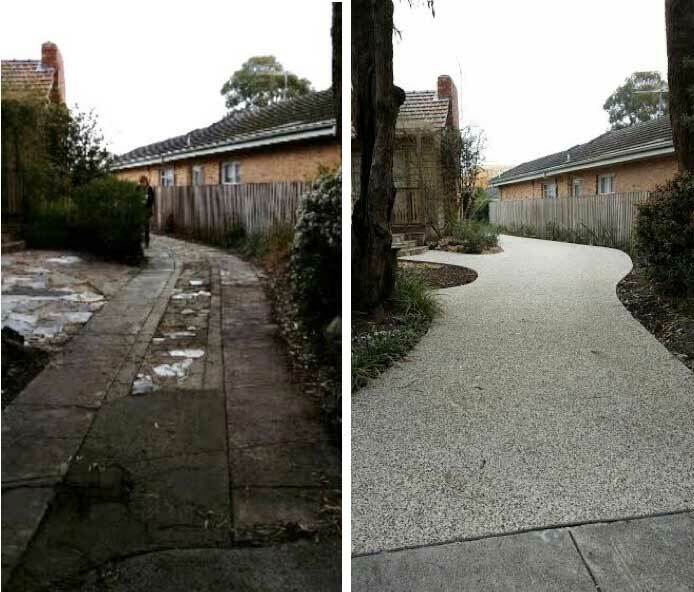 https://www.abetterdriveway.com.au/wp-content/uploads/2015/10/ABD-Blackburn-cul-de-sac.jpg https://www.abetterdriveway.com.au/wp-content/uploads/cache/2015/10/ABD-Blackburn-cul-de-sac/3250473390.jpgBefore and After in Blackburn.